The Automatic Flush Valve will take care of the flushing for you. The Automatic Flush Valve (AFV) is a time and labor saving accessory designed for use with SWT's Inline Centrifugal Sediment Filters. 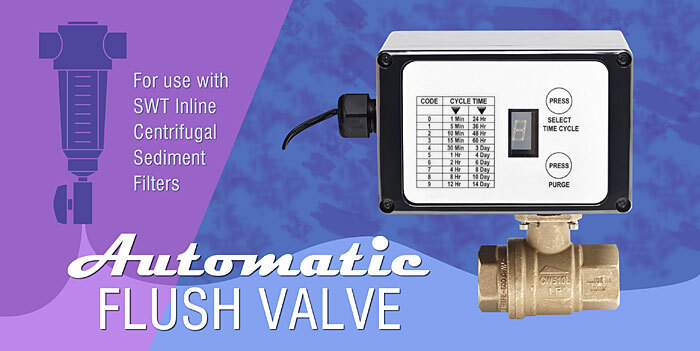 Simply attach the AFV to the centrifugal filter's purge valve, program a cycle time, and the filter will automatically flush at the selected time interval. To subscribe to SWT Enews, click here. Copyright 2018-2019, Safe Water Technologies, Inc.